A European economic and trade agreement could increase the potential for Canadian investment in Northern Ireland, Canadian High Commissioner to the UK Gordon Campbell tells Meadhbh Monahan. “Canadians are pleased that Northern Ireland has turned to the future and looked at a world where they are working together to accomplish their goals,” says Canadian High Commissioner Gordon Campbell during his first visit to the region. 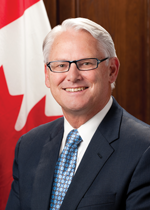 Appointed as High Commissioner (equivalent to Ambassador) in September 2011, Campbell met the First and deputy First Ministers and visited Canadian companies Bombardier and Dalradian Resources during his visit. In terms of Canadian foreign policy, a trade agreement with the European Union is a top priority before the end of the year. Revitalising the trade agreement with South Korea and forming an agreement with India by 2013 are also on its agenda. The world is “not going to be a world of win and lose. We have to work together to accomplish our goals,” he states. Economic partnership Northern Ireland wants jobs, the High Commissioner continues, therefore “reducing trade barriers will increase potential investments for Canada here.” Bombardier is the largest foreign investor in Northern Ireland with 5,000 jobs. “The mining industry, the energy industry, the new technology industry: all of those thrive in an environment of open and fair trading,” Campbell adds. Canada will “play an important part in the world,” according to Campbell. Its “economic strength” has been recognised in the fact that none of its banks had to be bailed out by the Government and its AAA credit rating, he believes. In terms of lessons that Northern Ireland could learn from Canada on dealing with division (e.g. 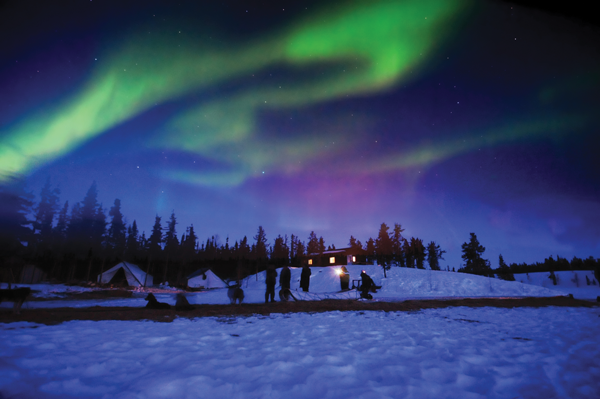 between First Nation, Inuit and French Canadian), Campbell sees a very different situation to the one in the province. Campbell was Premier when Vancouver hosted the Winter Olympics and Paralympics in 2010 and speaks enthusiastically about the experience. “The Olympics is about aspiration, achievement and inspiration,” he states. “Athletes aspire. They work, they focus, they have teams of people behind them to get them up onto that podium. That also becomes an inspiration for people in ways we can never imagine,” he contends. The Olympics brings a “spark” to the minds of young people, or entire communities, Campbell believes. “The spark that gets touched off [by the Olympic torch] has untold benefits in the long run,” he says. Campbell cites the example of the Kootenay Knitting Company, a small knitting company in Salt Lake City, which decided to take advantage of the Winter Olympics, resulting in them tripling their employees and experiencing a substantial increases in sales. In order to “reinforce and revitalise the relationship” between Canada and the United Kingdom, Campbell intends to come back to Northern Ireland “on a regular basis”.